The Tempero Mandibular Joint (TMJ) is an important bone joint that connects the mandible or lower jaw bone to the skull or temporal bone. The joint acts as a hinge around which the lower jaw opens and closes. Further, some of the facial muscles that control chewing of food are also attached to the lower jaw. In some people, the TM Joint gets inflamed, causing moderate to severe pain in the person. The causes for the inflammation vary from grinding of teeth to physical injury to the jaw, painful dental procedures, arthritis and some others. Symptoms of TMJ Pain are several and range from difficulty in biting and chewing, to earache, headache, migraine, loss of hearing, facial pain, neck and shoulder pain, etc. TMJ syndrome is a lot more common than previously believed and around 5-12% of American adults have shown or show TMJ pain at one or more points of time in their life. Previous treatments for TMJ Pain included some prescription medicines as well as letting the pain subside on its own. In recent years, BOTOX® (onabotulinumtoxinA) has emerged as an effective treatment for TMJ pain. 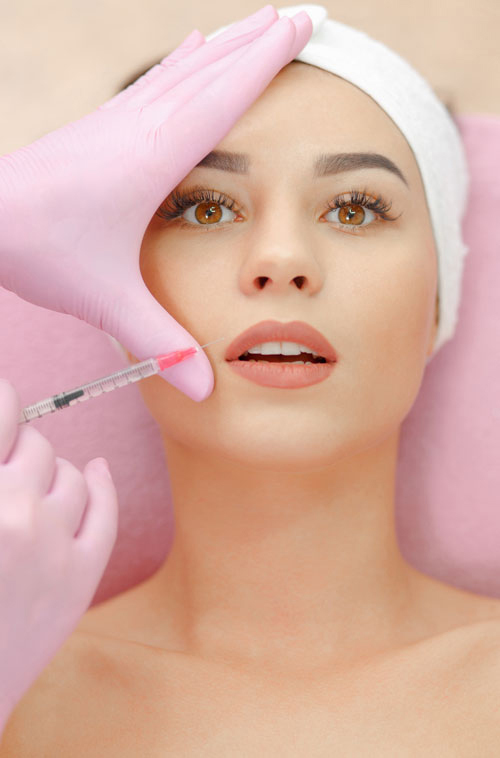 Injecting Botox into the facial muscles that are attached to the lower jaw helps relax them, thereby reducing the stress on the TM Joint and hence any resulting pain. Botox is injected into 3 sites (temporalis, frontalis and masseter) on the face, in a sitting that lasts between 10 to 30 minutes. There is no discomfort whatsoever and patients can resume their daily activities almost immediately. The effects of the injections are seen within 48 hours. Multiple sittings repeated every 3 months can drastically reduce or totally eliminate TMJ pain over time. Are there any precautions I must take? Please let your physician or clinic know of any muscle or nerve condition you may have such as ALS, Lou Gehrig’s disease, myasthenia gravis, Lambert-Eaton syndrome; any medication you may be taking, and any allergies you may have. This can prevent side-effects and make the course more effective.